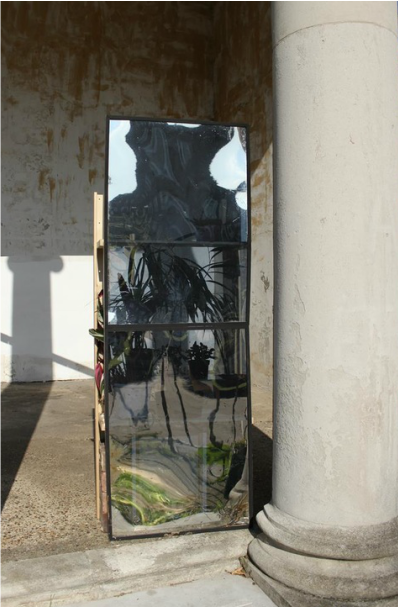 ​​A one-way mirrored window containing synthetic and potted plants. Framed windows look onto the estate opposite, whilst its mirrored side prevents from seeing in. Within the portico side this serves as both a kind of UV protecting conservatory and observation room looking out. 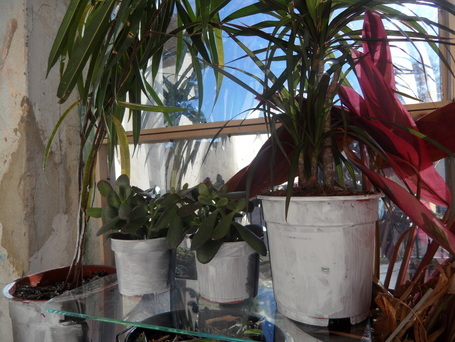 From there, sometimes the plants' silhouettes can be seen, but more often a warped reflection shines back from the sun. 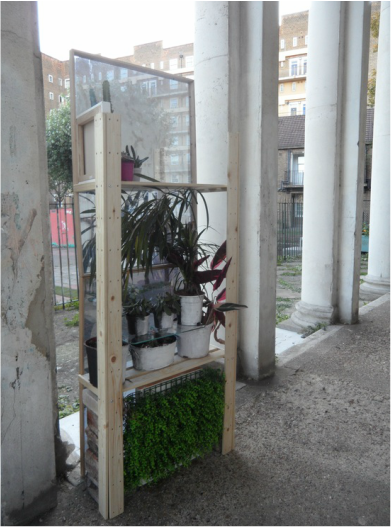 This is hybridised with a shelving display which hold the plants and objects. 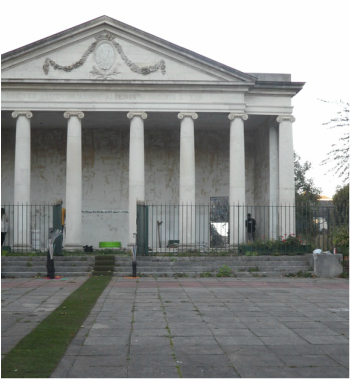 The idea seeks a relationship between stately Georgian garden-scapes - in reference to the portico's history - and the contemporary art exhibit; as productive sites sensitive to formalism. It considers the auriela theatre and the great 'ha-ha wall' feature. 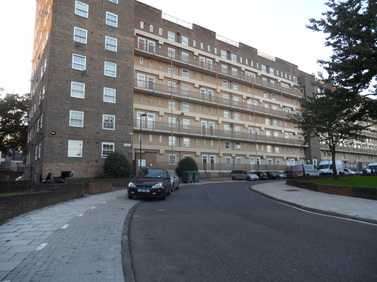 Where the urbane can be portrayed as both a controlled wild and necessary integration of imposed barriers, we find in the housing estate sophisticated urban forms of this, which is both enclosed and visible. Such paradoxes are of course also drawn from utopian imagery; in which the Elysian exists through a controlled, esoteric environment. Whilst plants associated with office, public and space-filling home decor are selected for their immediate cultural associations with affordable 'brightening up' of socially produced spaces. A captured exotic made common. They simultaneously provide shade for the one way mirror to function at certain intervals of the day. I was thinking of those commissioned mid-Georgian paintings where domestication and savagery unintentionally never seem far apart, and in doing so, treated the work as a sort of totem-canvas. Like Uvedale Price's An Essay on the Picturesque as compared with the Sublime and the Beautiful, 1794, who advocated for more influence from nature's rugged variety - as exemplified in many landscape paintings of the period - so too our contemporary city is a product of framing and neglect, in which the wealthier boroughs could well be compared to those classical garden manors that were surrounded by less cultivated grounds for the owner's own amusement. (In this regard, you could argue that the aesthetics of class consciousness in England has barely changed in 200 years). ​Although, not wanting to be overly referential, white is one inheritance; gallery walls, pillars of lament and Arcadian clouds signalling an English dusk, hung above living rooms and profile pictures. Tinted blue effects the windows that make a canvas in an otherwise modest display of refuge on my own part. 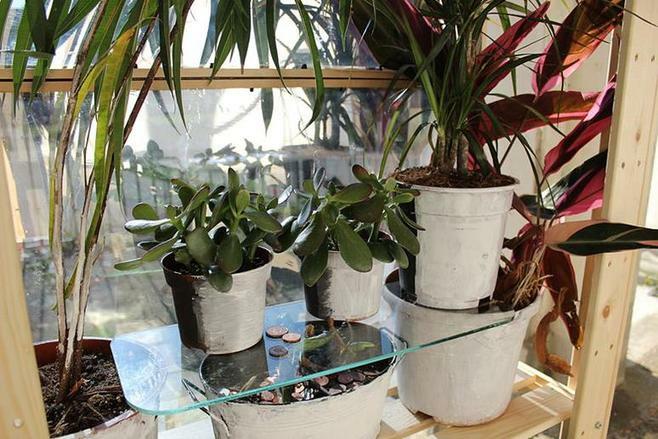 A money plant provides a trickle down of pennies held up by a glass splash guard acting as a shelf and ceiling to a diseased prayer plant below. 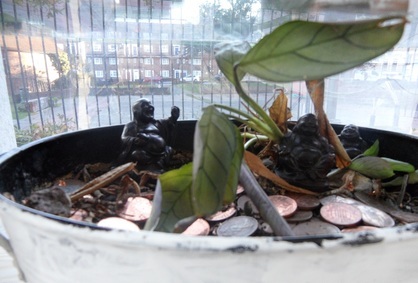 This contains miniature laughing Buddha collectables submerged in copper coins. 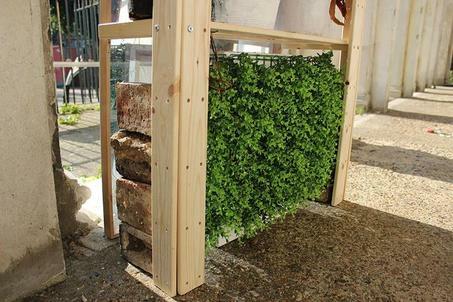 Beneath this an artificial hedge is attached to a canvas, which has copper leaf applied to its top edges. As if to propose that the coins have dripped down. 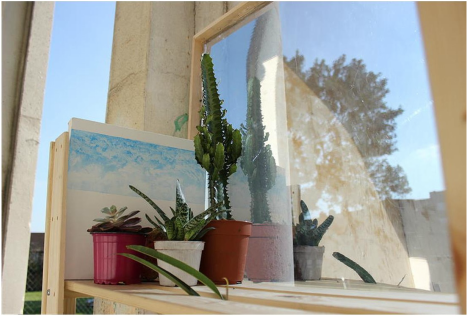 On the top shelf cacti provide a foreground looking back onto the estate. The wind constantly threatened the structure. I opened up the gate and others soon followed in. It was a pleasant day of assembling and fighting the wind. I left for home as the autumn sky became orange. It was the last warm day of the year.